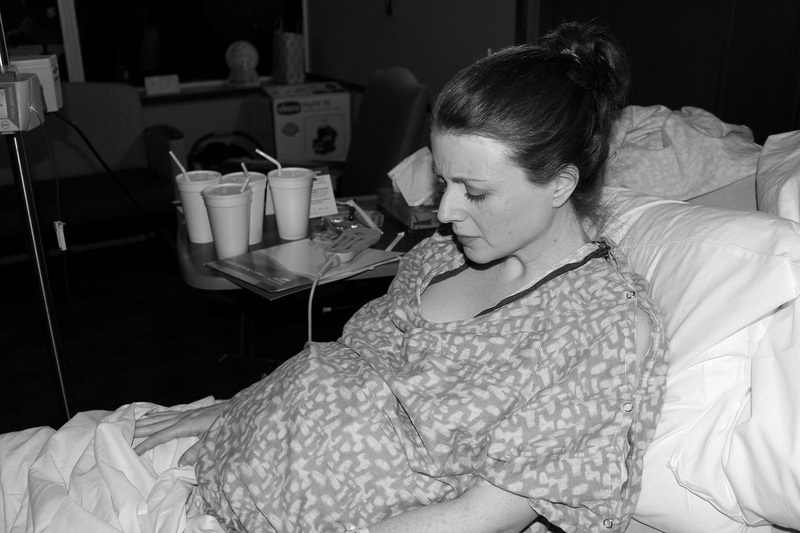 The night before I went into labor with our third baby, I was feeling restless and wrote a draft blog post about facing challenges and doing things previously thought impossible. If someone had told me years ago that I would have a child with special needs and a rare genetic disorder with no cure, and known deaths among children that share the diagnosis, I would have never thought I was capable of enduring such a thing. Yet here we are, and somehow God has conditioned me to handle the bends in the road, and equip me for the dark times that we face. 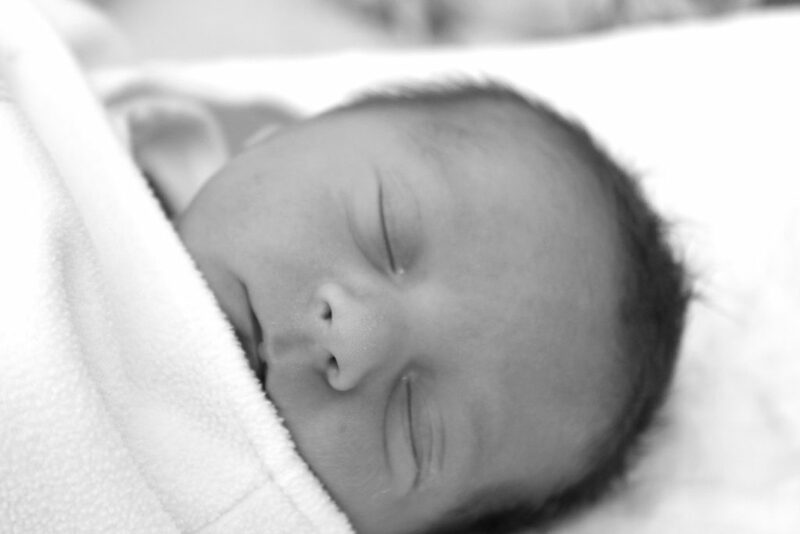 So when I began to consider how we would bring our next family member into the world, I thought about delivering naturally, and how this was also something that I surely was incapable of doing. And in addition to this challenge, I was also thinking of my family and all that they have had to endure in the past few months. 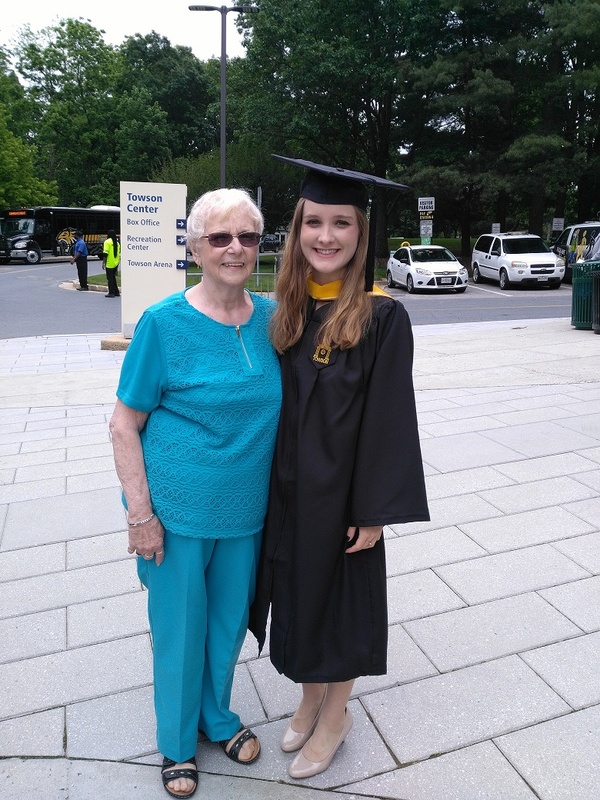 My grandmother’s health has dramatically declined following a cancer diagnosis which began to reveal itself after she collapsed at my sister’s college graduation in May. The picture below was taken an hour before. I have watched my parents and sister rise, turning into patient, selfless care givers, providing round the clock, direct care in their home. My mom turned their dining room into Grammie’s room equipped with her hospital bed and curtains for privacy. My dad wakes at night to administer medication. They have been researching and preparing meals to help her fight her cancer and have been diligently providing personal care each day and night while she tries to regain her strength for more chemotherapy. If you would have told my parents and sister that in a few short months their lives would be turned upside down as they weathered this cancer storm with Grammie, I’m fairly certain their reaction would have been similar to mine when I think about facing the road of special needs, but they are powering through and despite the ever changing challenges of their present landscape they have risen to the occasion and provided a level of care that can only be admired. People have said to me, “I don’t know how you do what you do with Mark”, and other than just doing it because I see no other alternatives, I see now where I get it. We rise, and we love, period. And this leads me to think about a mantra from one of my birth podcasts, “you can do hard things”. I wasn’t entirely happy with the blog post I had started, shelved it and went to bed. I then woke up at 4 am in preterm labor facing the unknown, and just like usual I took full responsibility for going into labor too early, not even considering that perhaps this could be a good thing. I’m pretty good at blaming myself. I’ve really perfected that art over the years. 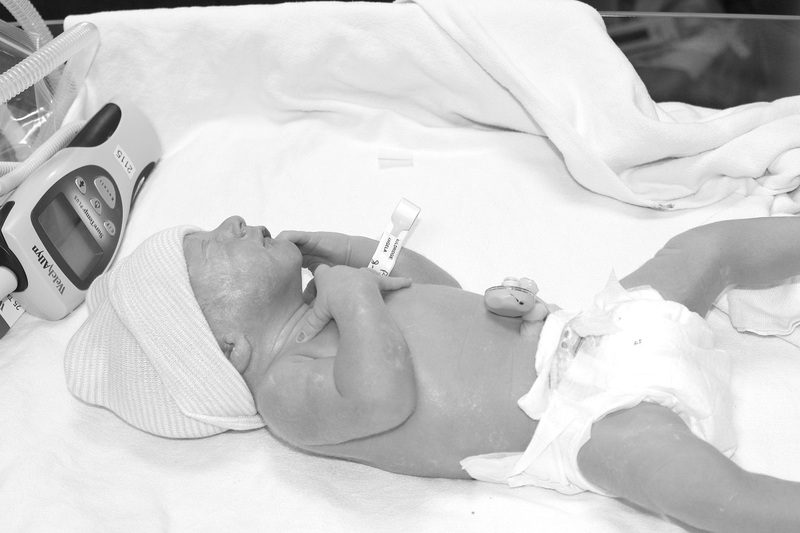 As we embarked into the special needs world, I enrolled Mark and our family in as many research studies as possible, and like many of Mark’s clinical assessments and evaluations, these opportunities usually involved in depth questioning regarding my pregnancy and delivery of Mark. I even did a two-hour interview just about everything I did, ate and experienced while carrying him. I have relived it so many times, scrutinizing every decision. Each time I would answer a question like medications I took or interventions I had, I wondered what it meant. Whatever it indicated, my assumption was that it was clearly bad, and obviously my fault. So when we began talking about having another baby I spent an entire year trying to be as healthy as possible keeping these types of evaluations in the back of my mind and trying to maintain my tight grip on control. I found a nutritionist that specialized in treating neurodevelopmental disorders in children with autism and prevention in pregnancy. I did a number of tests that drove a tailored supplement and nutrition plan in anticipation of a future pregnancy. I bought a pill suitcase and began taking over 15 capsules of vitamins and supplements per day. I tried to stick with whole foods, including lots of vegetables and fruits. I stopped using conventional deodorant and switched to using a salt rock. I drank out of glass containers. I changed all of our cleaning products over to natural alternatives. I had my hair tested for metals and toxins and then began using magnesium baths to detox. Every new autism study that provided a clue at a correlation prompted action from me. I skipped the flu shot. Took extra Vitamin D. And when I did become pregnant I avoided every intervention possible. I didn’t want ultrasounds or extra Doppler exposure. I turned down all vaccines and began exploring options for natural child birth. I enrolled us in a hypnobirthing class and felt a little sheepish that I was a third-time mama taking a class that’s clearly designed for couples expecting their first. But I was determined to bring our baby into the world with as little intervention as possible so that if ever we end up on a similar journey as we did with Mark, I could answer “no” to those questions and alleviate the tremendous guilt I’ve carried around that I did something to cause Mark’s problems. I realize now that the PTSD that is so common among parents of children with special needs was coloring my judgment and fueling my neurotic efforts. Mark was born with a genetic condition that was not inherited from us. I knew this, yet despite the science behind it, and the fact that I tell other mothers on a regular basis that their child’s diagnosis is not their fault, I still felt narcissistically responsible. So when our son Luke made it abundantly clear that he was coming into the world five weeks early, my anxiety kicked in and I felt so upset that despite all of my best efforts this baby was going to be early, setting him up for possible delays and potentially other life threatening problems. The number one question I am asked on a developmental questionnaire pertains to the gestational age. I would now have to check the premature box. Once we determined that my labor could not be stopped, I gave in and began employing all of my hypnobirthing techniques. I closed my eyes and breathed through each powerful surge and after many hours of slow, uncertain labor, I began to panic. I told Ike that I couldn’t do it. 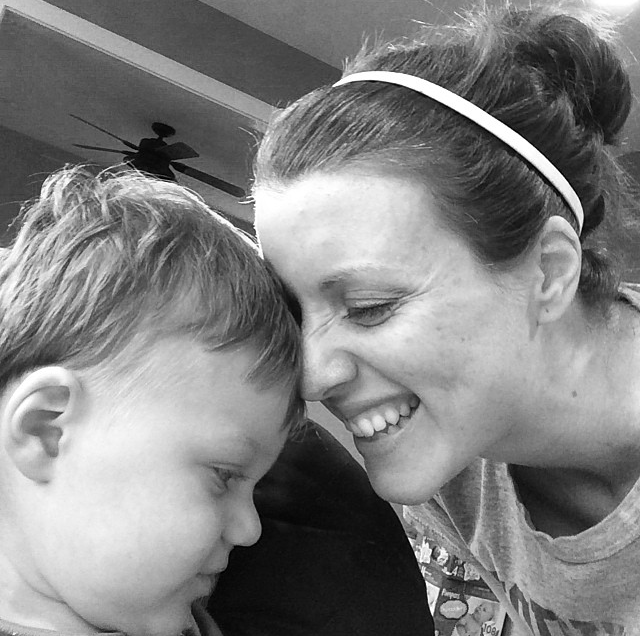 I was shaking, feeling less confident as I worried about our now preemie baby. The special nursery bed was set up. The neonatologist was called. I was overwhelmed. It was too hard. Ike encouraged me, reminding me that this is what we worked for, and the reason I made him spend several Sunday afternoons in a yoga studio watching natural child births, and ultimately what I had wanted. Within minutes Luke was born. 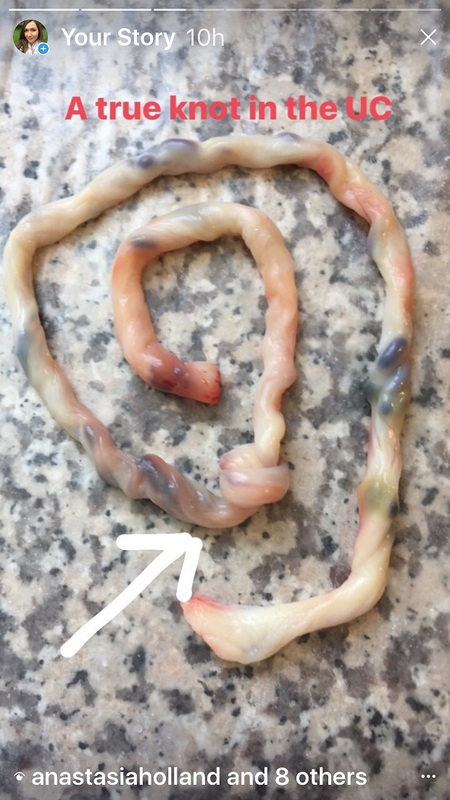 After he was placed on my chest, our midwife pulled up the umbilical cord to show us this fat, tight true knot in the cord. She said it was divine intervention that he came this early. I later Googled this and words like restricted growth and still borns popped up. It became clear that had he gone to term the outcome may have been much grimmer. When we returned home, I met our nurse we hired to encapsulate my placenta. (I’m aware of how controversial this is but I did my research and felt like it was a good choice for me). The first thing she said was “did you see that true knot? I saw it and how thin the cord was on the one side and said a prayer of thanks”. How loud does God have to be for me to hear Him? This wasn’t about me, or about what I did or didn’t do. All of my hippy dippy crunchy granola shenanigans couldn’t get in the way of God’s perfect plan. Nothing was anyone’s fault, it was God’s will. Luke’s plan unfolded the way it was intended and so has Mark’s, genetic mutation and all. No mistakes. This is part of their and our journey. I watch Mark do hard things every day, and he has inspired me to realize that I can do hard things, like natural childbirth, and having the strength to be his mother and advocate, and so can my family in their intimate care for my grandmother. We rise and we do so because of God’s goodness and grace.